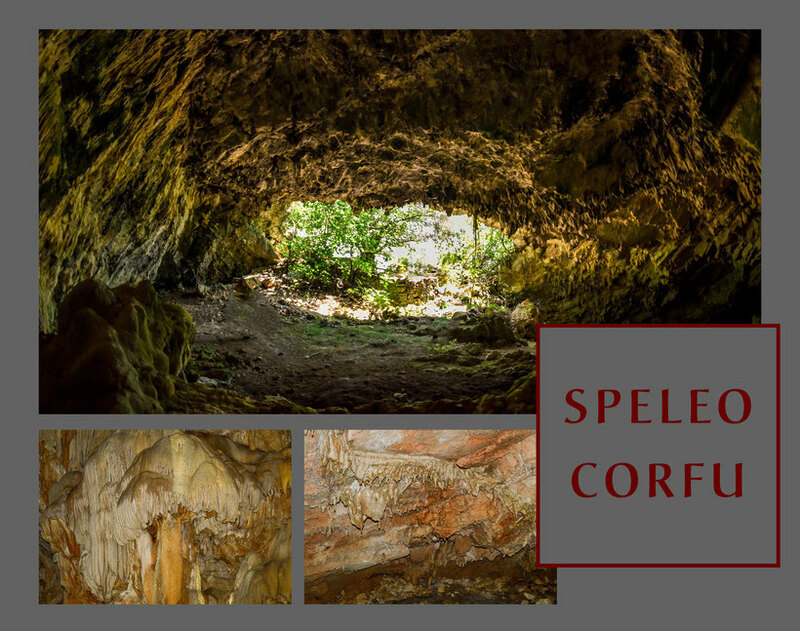 Speleo Corfu - Website about caves on the island Corfu. Greece has more than 10,000 caves, in mountains, on the coastline and in sea, even in urban terrain. Many caves are considered part of local history and culture, often illustrated with local myth and folklore of the region where they are found. Caves and their mysteries are mentioned in Greek mythology as well. The Ionian Island of Corfu has more than 183 caves. Some caves on Corfu are small and used for practical reasons. They are called 'kaves' and were used for purposes such as storing milk and vegetables. History shows that the darkness and constant temperatures provide ideal conditions for the aging processes of some cheeses and alcoholic beverages. Other caves on Corfu have provided hiding places against pirates or against bombing during World War II. Some caves on Corfu are deep openings in rocky terrains, the so called 'barathra', while other caves are small or big holes, the so called 'spilies' or in Corfiot dialect: 'graves'. Also sinkholes, 'katavothres', can be found on Corfu. 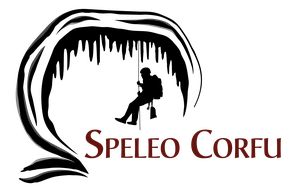 Speleo Corfu collects information about all land and sea caves of the island by reading and studying old Greek literature and previous scientific studies of the caves, by analysing (Venetian) maps and, most important, by speaking with villagers. For finding the exact location of some caves help is necessary by locals, shepherds and foresters. Once the location of a cave is known, an attempt is made to visit the cave. Often the road to and the entrance of the cave need to be cleared of dense vegetation because the cave has not been visited for decades. Some caves can only be re-explored with assistance of another speleologist or a member of the Corfu rescue team because of height or danger. It can take years before a cave is being rediscovered. This website will be updated regularly. Last update: March 31, 2019. NEXT CAVE EXPEDITIONS: APRIL 16 - MAY 11, 2019!